In a very few years time, the present period of stress and hardship will be much allayed. Behind the scenes, much is changing. Many of the forces which have brought about the conflict and struggle of today are weakening, and are being replaced by forces altogether more favourable to men. So many different energies, and direction of these energies, are simultaneously involved at the present moment that it is difficult to ascertain precisely when this change will begin, but it should not be much more than about two years before the first clear signs of change are discernable. There will follow a period of change which few would conceive possible in so short a period of time: the present upsurge of demands for freedom and involvement in their own destiny which has been manifested so strongly by the people of the Middle East will sweep across the world and involve country after country, large and small. Thus will the Voice of the People grow ever stronger and more eloquent. More and more, men and women everywhere will begin to understand clearly their needs and their invincible strength to claim their birthright. Maitreya will sustain men in their demands for justice and freedom and will magnetise their every effort. As He did in Cairo, He will be with all who make their demands in peace, respecting all groups and all religions, without rancour and competition. Thus will men come to understand the way of the future, the only way which will guarantee that future, a future shared by all, without division. Q. How many interviews has Maitreya given to date in the USA? Q. How many interviews has Maitreya given to date in Mexico? Q. Has Maitreya started giving interviews now on His own, that is to say, not as a member of a panel? Q. (1) Sathya Sai Baba has shed His body today [24 April 2011] and my heart is truly aching with pain for the physical loss. It came sooner than expected. In my mind I know He is always with us. Can you please give some solace if possible. (2) Will Maitreya’s Day of Declaration be in any way more ‘sped’ up for us now? A. (1) Sai Baba has died so His influence in the world will not be equal to what it was formerly, but it should be remembered that Sathya Sai Baba has predicted a third manifestation, when He will return in a few years as Prema Sai. (2) Not necessarily. The Day of Declaration has its own rhythm. Q. I would like to ask a question about the recent death of Sathya Sai Baba. Regarding your Master’s information, Sai Baba embodies the energy of the Cosmic Christ, and Maitreya is the Planetary Christ. (1) Does the recent death of Sai Baba mean that his work as the Cosmic Christ to prepare humanity for the work of Maitreya, the Planetary Christ, had been finished, so humanity is ready now for Maitreya? (2) Does this also mean that Maitreya is getting closer to working completely openly with humanity so there is no need for the Cosmic Christ and the Planetary Christ to be simultaneously in the world? Thank you for your insights? A. (1) No. The question shows a misunderstanding of the purpose for Sai Baba’s manifestation. Sai Baba did not come as the Cosmic Christ to prepare humanity for the work of Maitreya but for His own purposes as an Avatar. So this question does not arise. (2) Again this question does not arise. The death of Sai Baba has nothing to do with the readiness or otherwise of Maitreya to work openly in the world. Q. Sai Baba is thought to have said that He would live to be 96 years old, but he died recently aged 84 years. Was His prediction not correct? Q. Will Sai Baba continue to be present in consciousness and to oversee his life’s work, to inspire and guide his devotees? Q. Will Sai Baba continue to overshadow Benjamin Creme at the end of his public lectures, as he has done for many years? Q. Is it accurate to say that Sai Baba sacrificed himself – taking on the karma and illness of many of his followers and thus shortened his own life? A. He did not shorten His own life but He did take on the karma of devotees on several occasions for short periods, but that was not the cause of His death. Q. The killing of Osama bin Laden by an American special attack force in Pakistan has just been announced. He is said to have been shot in the eye and killed (though unarmed) and the body to have been buried at sea, that is, not retrievable for inspection. Can you say if this is indeed the end of Bin Laden? A. I do believe that Osama bin Laden is no longer alive, but this report from the US administration does not tally with my information, which is that Osama bin Laden died peacefully, after a long struggle with illness, in 2006. Before he died he wished to maintain his call for ‘justice’ (as he understood the term) and arranged for one of his many younger brothers to maintain the myth of his presence. Q. In 2007 Benazir Bhutto said in an interview that Osama bin Laden was dead. (1) Was she right? (2) How did he die? (3) Where is his body buried? (4) If this scenario is accurate, why was his death kept secret? (5) Supposing these are the facts, how long have the Americans known of Osama bin Laden’s demise? A. (1) Yes. (2) He died after a long struggle with cancer and kidney disease. (3) It was not buried but burned. (4) He wanted to maintain the myth as a rallying call for the young. (5) They probably believed he was still alive. Q. Why was Osama bin Laden shot? Why was he not captured and brought to justice? Q. Why was his body “buried at sea”? Q. There is something very fishy about the reports of how Osama bin Laden died; it is reminiscent of the feel of the so-called accounts of how Saddam Hussein was ‘found’ and other ‘facts’ around his ‘trial’ and so on. Your comments, please. Q. One of the news reports showing the compound where Osama bin Laden was shot mentioned that there was no sign of a kidney dialysis machine, yet it was well-known that Bin Laden had serious kidney problems. Does the absence of a dialysis machine not point to the possibility that Osama bin Laden had not been living at the compound? A. My information is that he never lived at that compound. Q. (1) Do you think people power will succeed in Libya and Syria? (2) What would be the most practical solution in each country? A. (1) Yes, eventually. (2) The problems and state of readiness in each country are different. Eventually, throughout the world, people power, inspired by Maitreya and under the banner of freedom, sharing and justice will succeed. Q. Should dictators and despots be brought to justice? A. Personally, I do not think so. It solves nothing and simply prolongs the lust for revenge. Q. Perhaps in a spirit of forgiveness old autocratic figures ought to be given asylum and amnesty? Q. What is the best way of dealing with the Taliban in Afghanistan? In Yemen? A. Like anywhere in the world, people need freedom, justice and peace. The Taliban are no different. Q. I spotted an orange-lighted orb in the night sky on 23 April 2011. The direction was west to north-west, in Steyr, Austria. After approximately two minutes it disappeared and went into a little black hole, moving to the north. I took a picture of it and watched it with a spyglass. Could this be part of the galactic fleet or Martian people? A. The ‘orb’ was a spacecraft – a scout ship – from Mars. Q. At the royal wedding of Prince William and Catherine Middleton on 29 April 2011, I felt a powerful energy during the service at Westminster Abbey, London. Could your Master confirm if there was a blessing from Maitreya? A. Yes. During the service, when the Archbishop of Canterbury Rowan Williams pronounced the couple man and wife, saying “In the name of the Father, and of the Son and of the Holy Ghost”, Maitreya gave a blessing. In all weddings, of every religion, a blessing is given. The blessings are often given by the Master Jesus, but if the priest holds a senior position, such as a bishop, the blessing is given by Maitreya. Similarly, whenever people take the Eucharist in church (the wafer and wine) a blessing is automatically given by the Master Jesus or Maitreya. On 3 March 2011, about 10 minutes into a lecture at The Rose (De Roos) an alternative spiritual centre, in Amsterdam, a tall, thin man of about 70 years old, wearing spectacles, came in, greeted everyone in a friendly manner and sat down in the front row very near where I was standing. He was dressed in a grey jacket, black trousers and a flamboyant red scarf. He listened very attentively and at the end during the question and answer session, a colleague informed the public that we had a special edition of Share Netherlands, with an interesting article by Monte Leach. Our visitor remarked: “Yes, he is a good journalist,” and then he mentioned having read a book in which it was suggested that there was a symbolic link between the date the crop circles were formed and their patterns. I elaborated on what I knew Benjamin Creme has written about the subject and ended by mentioning that the Space Brothers always use a universal system based on the figure 9 rather than 10, which we will adopt in the future. When we understand the nature of mathematical ratios in the true sense, we will begin to understand the crop circles better. Someone in the audience asked about the relationship between Sai Baba and Maitreya, and while I was explaining this, tears ran down the cheeks of two women in the audience. After the reading of one of Maitreya’s Messages the silence was very palpable. As he left, without a look at the books and leaflets on the information table, he said, “You all do very good work”, shook my hand, said thank you and left. Later we wondered whether our visitor was perhaps the Lord Maitreya? Could you please say whether this was the case? N.de G. and M.o.t.N., Amsterdam, the Netherlands. I would like to share an experience which happened to me on Easter Sunday, 24 April 2011. During the preamble to a family meal I was enjoying a drink with my mother and grandfather at my mother’s house. We were drinking wine and each of us had already had one glass from the bottle. The wine tasted of wine as it usually does. I drained my glass and decided to pour another. Upon taking a sip, my mouth was suddenly filled with the unmistakable taste and fragrance of vibhuti [holy ash manifested by Sai Baba]. I was taken aback by the suddenness and intensity of the experience. As I continued to drink, the taste of the wine was completely overpowered by the taste of vibhuti. After the meal and departure of relatives, I decided to take out a book on Sai Baba, it opened at a significant place for me. A little later I decided to Google Sai Baba which is something I very rarely do. To my astonishment I discovered that at 7.40am Indian time that same day Sai Baba had left the body. I noted that the YouTube report that confirmed the sad news began to load at 7.40pm, exactly 12 hours after his passing. I did not do this intentionally. It began playing at 7.41, 41 being a number of considerable importance to me and which completed the message of where the book opened. I am not in a position to know whether this experience came directly from Sai Baba himself or from a higher part of myself that was absolutely aware of his passing before I was and combined the message of Sai Baba’s death with a very important personal message. While the video of Benjamin Creme’s lecture was playing at the meeting in Paris on 26 March 2011, I noticed a rather young man in an electric wheelchair. His face was partly covered by his hood and his skin was brown. He was bending forward, seeming to listen very carefully to the lecture. A lady, sitting near him on a chair, seemed to be with him. She also looked young and was wearing a kind of blue sari. She looked Indian; her complexion was clear and she was rather rugged-featured; her medium-long hair had been cut in a strange manner: she had little locks on her temples, and a big one was covering her forehead. At the end of the lecture, when I turned back towards them to see whether they were still there, they had disappeared! Puzzled, I went out immediately to try to see them in the other room or outside, but there was no one. It is difficult to imagine a person in an electric wheelchair leaving so quickly with people sitting in the open doorways, obstructing the exit. Even stranger was the fact that the co-worker checking the tickets hadn’t seen anybody leaving the room in a wheelchair with an Indian woman; the audience had to pass the co-worker when entering or leaving the room. And what’s more, they were not there when I entered the room, which was after everybody had taken their places. Would you please tell us who were these strange looking people who disappeared so suddenly? On Saturday 19 February 2011 I was watching on television the protests in Bahrain. In the centre of the square, around the monument, people were setting up tents, a small hospital and even toilets. It was about 4pm. A big, white object in the sky caught my eye, smaller than the sun or moon, but much bigger than a star. Was this perhaps Maitreya’s ‘star’? 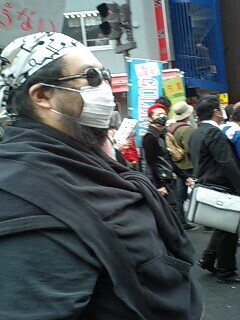 On 10 April 2011, I went to an anti-nuclear demonstration in Koenji, Tokyo. Two men attracted my attention. One was wearing a green-yellow-red cap and was jumping up and down repeatedly to the sound of the music played by a band, yelling merrily: “Stop nuclear plant! Stop nuclear plant!” Watching him made me very cheerful. Were these men someone special? It was with deep sadness that Share International learned of the death of Sai Baba, who died on 24 April. His death has been reported in the everyday media worldwide. Benjamin Creme said of Him: “I would say that Sai Baba is … the most fully Divine Being to grace this planet with His presence.” He is an Avatar, not out of the Earth evolution, but a cosmic visitor, so to speak. Sri Sathya Sai Baba is a Spiritual Regent, a representative of Divinity on our planet, and embodies the energy of Cosmic Love, or the Christ Principle at the cosmic level. That energy flowed and continues to flow from Him into the world. Sai Baba was the second of three incarnational manifestations on Earth of a great Spiritual Being: the first incarnation was as Sai Baba of Shirdi, the second life was as Sathya Sai Baba, and He Himself predicted that the third and final incarnation would be early in the 21st century as Prema Baba, and that he would be born in the state of Karnataka. Sai Baba’s life was a life of service; and it is key in all His teachings. Among other legacies, ultra-modern free hospitals, schools and universities were established in India and other countries under His guidance, and He ensured a free water supply to millions of people. This great Avatar also has a role in stimulating the love nature of humanity in general, which opens the heart centre in those nearing the first initiation. As readers of Share International will know, Sai Baba and Maitreya work together for the regeneration of the world, both embodying the same energy: Sai Baba, the Christ Principle on a Cosmic level, Maitreya, the same principle on a Planetary level. At Mr Creme’s public talks Sai Baba and Maitreya both overshadowed Mr Creme, showing the connection between these two great Avatars. Benjamin Creme has described how Sai Baba began this process for the first time at a lecture in the amphitheatre of an American college in 1982. 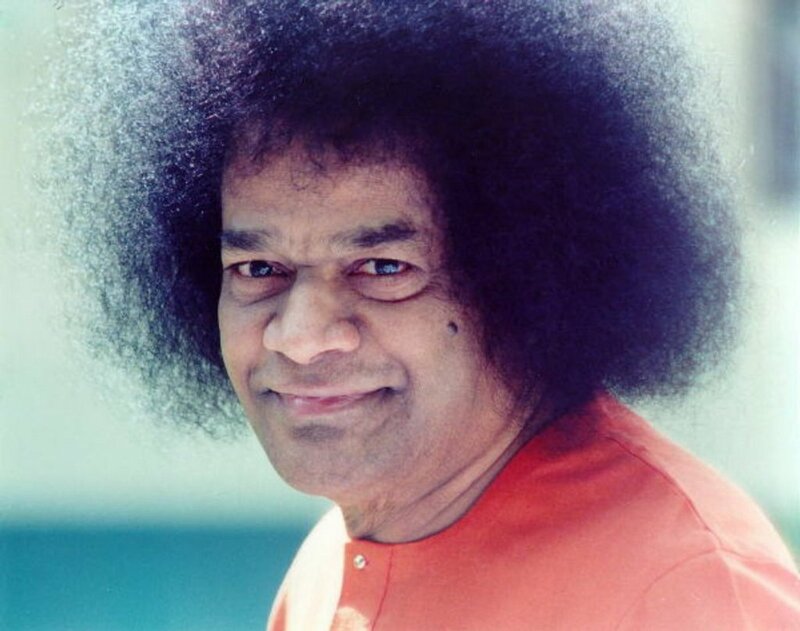 When answering a question on the relationship between Maitreya and Sai Baba, Mr Creme suddenly felt a tremendous energy, which he described as coming at him “like an express train, faster and faster”. When he asked his Master what it was, the Master replied: “Sai Baba has added His Blessing to the audience.” This process has continued ever since and we understand will still continue. In more recent years there has been from some quarters denigration of Sai Baba’s person, activities and worth, accusing him of ‘trickery’, deception and misuse of powers. Benjamin Creme has always defended the veracity of Sai Baba’s work and of His miracles for the millions of His devotees worldwide. As Creme says, “the tallest trees bear the best fruits and also therefore attract the most stones”. Over the years, Share International magazine has often carried articles and reports about Sai Baba. We would like to express our sympathies to His co-workers and devotees all over the world. We present a selection of quotations on the theme of ‘Energy of the future’ from Maitreya (Messages from Maitreya the Christ and Maitreya’s Teachings – The Laws of Life), Benjamin Creme’s Master (A Master Speaks), and Benjamin Creme’s writings. This coming time will be known as the Age of Light, and Light in all its meanings and manifestations will become the provenance of man. Already, the signs are there for the discerning that man is knocking on the door that leads to the Chamber of Light. Ancient darkness and ignorance are being banished as men grapple with the implications of new insights and technology. Soon, the Science of Light, the Divine Science, will be revealed to man’s astonished gaze, and a major landmark on man’s journey of evolution will have been reached. There is a new technology – the cold fusion process – that is in the offing. I would say that in a very few years from now cold fusion will produce a rather large proportion of the earth’s energy needs. But after that there is another technology which Maitreya calls the Technology of Light which will provide unlimited energy for all our needs. There is a role for nuclear energy, but not the type of nuclear energy we are using today, through the fission process. That is highly dangerous. The fusion process is the method for the immediate future, and that is, as you know, being explored in this country, in the United States, and elsewhere. It will use a form of nuclear energy derived from a single isotope of water. It is safe, and superabundant in the waters of the oceans and rivers of the world. This nuclear fusion uses not heat, but a cold process, and will be used relatively very soon…. This will supply all the energy needs of the planet – every village, every town, every city throughout the world. Can you imagine the result? It will release mankind from using other forms of energy (of which some nations have more and some less) and free man from drudgery. We are now entering the age of light. The Hierarchy is training scientists through experiences of phenomenal powers by demonstrating the use of the science of light to achieve transfiguration, transportation and communication. Around this planet, as around all planets, is a magnetic field. It is made up of lines of force that criss-cross each other. Where they intersect a number of times, they form a vortex. It is like a chakra, a vortex of power. The Space Brothers are creating these vortices of power on the physical plane. A crop circle is really an outer sign of a vortex. A replica of our planet’s magnetic field is being placed all over the physical world, not as huge and powerful as the planet’s magnetic field, but powerful and widespread enough to be the basis of the Technology of Light. Nuclear energy is the primordial energy after it has become matter. It is released through different processes. It can be released through the fission process which produces plutonium, is highly destructive and deadly, and is that which is used in the atomic bomb. There is also the fusion process, from isotopes of water, plentiful everywhere in the world. From the fusion process we can have a perfectly safe use of the inherent energy of the universe. Solar energy is another form; the energy of the tides, which we have barely begun to explore, is another form. These are interim measures. The true energy of the future will be a form of nuclear energy. First of all, as now, through the fission process. Then it will come through fusion, which is basically safe, and all mankind will have any amount of energy. This will release mankind for its true purpose: to explore its true nature. We in the West have had sufficient energy from coal, steam, gas, electricity, and nuclear energy for a couple of centuries, but there are large sections of the world which are deeply deficient in energy resources, because they have not the advantage or disadvantage – whichever way you look at it – of our industrial revolution. The aim is to release mankind for its true destiny; to enable it to explore its own true nature. This means that instead of the bulk of humanity spending nine-tenths of its time as donkeys – that’s how the bulk of humanity lives today – abundant energy will free mankind for the creative exploration of his energy potential. But it will only be possible when all of mankind have abundant free energy. This will come through the fusion process. The discovery of nuclear power was no accident. It was released deliberately to humanity, by Hierarchy. In it lies great benefit. At the moment it is being wrongly used, but in the future it will be used for the greatest benefit of humanity. A new, divine science will become his. Through its means, man will harness the energies of the Universe for his diverse needs and transform and beautify this Earth. As custodians of this science We, the Masters of Wisdom, will reveal its secrets, stage by stage, as man equips himself correctly for its use. Then the gateway to the heavens will open and man will find himself on a journey without end. The cosmos, near and far, will be the subject of his research; infinity will beckon him ever onwards and test his valour. Meanwhile in Kazakhstan on the same day, in Astana a number of residents also filmed a UFO, a slow flying orb shooting out rays, while in Pavlodar shocked witnesses saw multiple UFOs hovering above the town square. 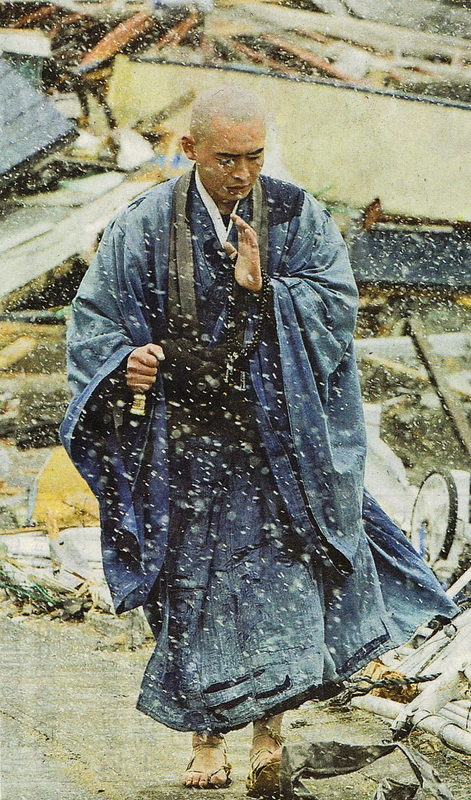 Sokan Obara, a Buddhist monk aged 28 years, from the Sekiunzenji Temple in Morioka City, Japan, on his 150-kilometre journey from Miyako City to Ishinomaki City in April in condolence and respect for the victims of the 11 March earthquake. Camping along the way, he prayed for the early recovery of the bodies of the missing people. When asked whether he was tired from walking and camping in the cold weather, he replied that it was nothing compared to the hardships the victims and survivors had gone through. 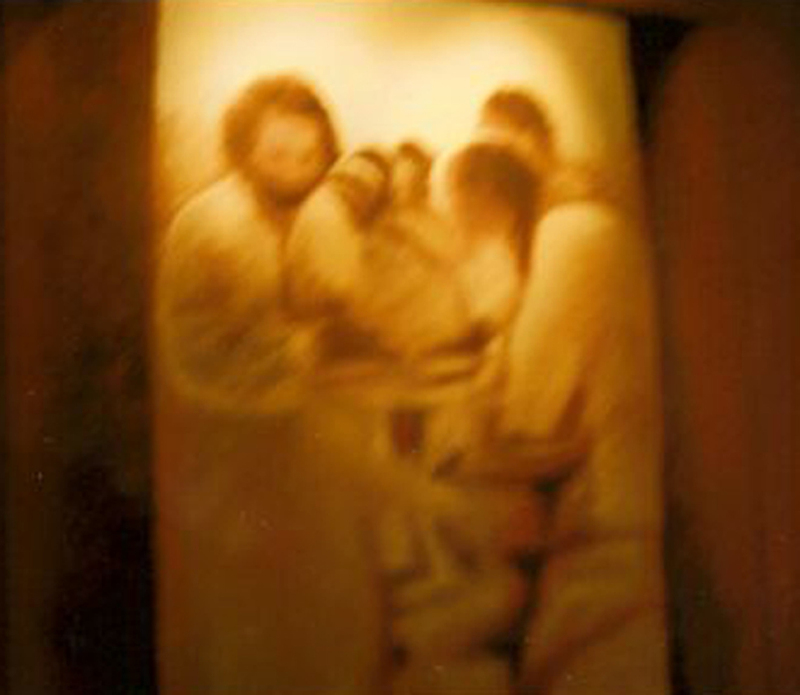 In this photograph Sokan Obara is seen praying and is at that moment, according to Benjamin Creme’s Master, being overshadowed by Maitreya. Beyond Nuclear is a nongovernmental organization based in Maryland, USA, which seeks to educate the public, governmental officials and the media about the need to abandon nuclear energy and nuclear weapons to safeguard the future. The group advocates for energy that is generated in an environmentally safe and democratic way. Paul Gunter, director of the Reactor Oversight Project for Beyond Nuclear, is their spokesman for nuclear reactor hazards and related security issues. He was a co-founder of the anti-nuclear Clamshell Alliance in 1976 which opposed the construction of the Seabrook, New Hampshire, nuclear power plant using nonviolent action, which launched the anti-nuclear movement in the United States. Jason Francis interviewed Paul Gunter for Share International. SI: What are the dangers of producing energy through nuclear fission? PG: Clearly, the problems we are seeing at Fukushima demonstrate the inherent danger of generating electricity through the fission process. While electricity is the fleeting byproduct of this industry, the legacy is a tremendous radioactive inventory that represents not only a clear and present danger during operation but will remain a threat to biological systems – all life basically – for geologic spans of time. Generations that will not receive one watt of benefit, but all the toxic liability of nuclear waste, will have to try to deal with this awful legacy by constructing engineered barriers, giving new meaning to the concept of Russian dolls – where you have barriers within barriers within barriers built over time. SI: How many disasters have occurred at nuclear power plants over the years? PG: It is difficult to put a number on how many disasters have happened – particularly how many near misses – because the nuclear industry is known for controlling the information when reactors are out of control. For example, in the former Soviet Union there was a nuclear accident in 1957 in Kyshtym [a nuclear fuel reprocessing plant] in the Urals that was not officially acknowledged for many years. There was the accident in 1966 at Fermi 1 nuclear power plant just outside of Detroit, Michigan, where again the information was controlled. Most people are aware of the Three Mile Island accident on 28 March 1979, but it was three days before the governor of Pennsylvania advised pregnant women and children that they should evacuate a five-mile radius around the stricken reactor. It was years before it was admitted that there was a partial core meltdown at the Three Mile Island Unit 2 plant. There was the 26 April 1986 accident at the Chernobyl nuclear power station outside of Kiev, Ukraine. The accident was not disclosed until a nuclear engineer found elevated radiation readings above a nuclear power plant in Forsmark, Sweden. It was determined that the radiation was not coming from their facility. When this was brought to the world’s attention, the Soviet Union admitted they had had an accident out of control for about three days. Even during the May Day marches through Kiev the children who had been marching in the streets had not been told there had been an explosion and a tremendous release of radiation into the atmosphere. Now, of course, there is the Fukushima disaster, and we have ample evidence that the nuclear industry and Japanese government are trying to cover up the extent of this ongoing catastrophe. There have also been many accidents, not only at commercial nuclear power plants, but involving nuclear propulsion devices in the former Soviet Union and the United States. There have been problems with research reactors here in the United States and around the world. Some of the first casualties were at a US naval experimental reactor where three naval personnel were killed in a nuclear accident. Another accident occurred at Tokaimura, Japan [uranium reprocessing facility], in 1999, which killed workers. SI: Looking at Fukushima, how effective are emergency plans if a reactor has a disaster? PG: When we are talking about atomic power the only effective protection is prevention. The inherent dangers of radiation, if it is released, will be borne on the wind, weather and water. As a result, these exposures will present risks beyond the current limitations of emergency planning. The US has evacuation plans for a zero-to-10 mile radius around a nuclear facility. This is essentially a political, arbitrarily created zone. It has been argued over and over again that this distance is inadequate in terms of effectively managing the removal of people from an accident and radioactive releases. The current scenario is to bring evacuated populations in the zero-to-10-mile radius to reception centers that are established for decontamination and radiological monitoring. But these centers are only 12 to 15 miles from the accident. And there is a 50-mile radius established as an ingestion-protection zone where state and federal authorities would establish protective actions to include sheltering of cattle, monitoring of agricultural products, water and so on. In the Three Mile Island accident in 1979, populations around Harrisburg, Pennsylvania, spontaneously evacuated themselves without an order. A threat that cannot be seen, tasted or felt will dictate human behavior, and people will say: “Let’s get out of here”. In large population centers it is very likely that any effort to control an evacuation, by trying to get populations close in evacuated first, will quickly be overwhelmed by spontaneous evacuations of people who are 25 miles and farther out. They will begin to create traffic jams in geographic bottlenecks that will effectively thwart the evacuation of populations close to the reactor. Spontaneous evacuations at Three Mile Island included entire emergency rooms of doctors and other medical personnel, which occurred up to 25 miles from the facility. The same may be the case with emergency responders, particularly volunteer responders such as school bus drivers who have been designated to drive into an accident zone to pick up children at their schools and take them to designated reception centers. They are very likely to either delay their role in deference to their families and their own children or totally abandon their role altogether. As we saw following hurricane Katrina in New Orleans, 25 per cent of the New Orleans police department took their families and left rather than take up their role as emergency responders for the city. The nature of the nuclear accident will exacerbate this kind of role delay and role abandonment for emergency responders because the threat is potentially so widespread that without any warnings per se that you could feel, taste, touch or see, the natural fear of this danger will essentially thwart, hamper or defeat emergency preparations. We have seen this play out in Fukushima. Those populations who were ordered to shelter in a place between 20 and 30 kilometers from the accident were essentially quarantined because emergency convoys with food and water were not going within the 30-kilometer zone. As a result, where there should have been extraordinary measures to evacuate pregnant women, lactating mothers, and children on the second day of the accident, many of these special populations (in terms of radiological risk) remained quarantined within the zone. We are also aware of news accounts of people who voluntarily left the 20-to-30 kilometer band around the nuclear power plant in Fukushima and were denied medical care by services outside the zone because of fear of radioactive contamination. These people are being told they need certification that they have been decontaminated or are not contaminated before they receive medical attention. These are the extraordinary circumstances that will hamper, delay and even defeat emergency operations around a nuclear accident. SI: Proponents of nuclear energy argue that it is a way to deal with global warming. Do you believe that argument has any merit? PG: Absolutely not. It is true that nuclear power plants do not have smoke stacks, and that the generation of electricity through nuclear power does have a smaller carbon footprint than fossil fuel. For example, fossil fuel is about 750 grams of carbon per kilowatt hour and, depending upon the study, nuclear power (we’ll take the mean) is about 66 grams of carbon per kilowatt hour. You still have the example of wind, which is on the order of 5 to 8 grams of carbon per kilowatt hour for renewable energy. So while it can be argued that there is a reduction of carbon emissions by going from fossil to nuclear, there is as dramatic a reduction going from nuclear to renewables. In addressing climate change, particularly at this point, we are very likely at a stage where we have to be able to take carbon out of the atmosphere. We will need the most efficient programs for generating carbon-free emissions. Simply to replace carbon emissions with radioactive waste is a little like going to your doctor for a smoker’s cough and being prescribed heroin. There is no gain made by trading one adverse consequence for another. SI: How heavily subsidized is the nuclear industry? PG: You cannot pursue nuclear power plants without governments building them. Essentially no nuclear facility construction now attracts private industry. You can read the commentaries of Standard & Poor’s, Fitch Financial Services, and Moody’s Investment Services. All of these financial rating agencies have recognized since the 1970s that nuclear power is too expensive. This financial meltdown basically ended nuclear power before the nuclear meltdowns at Three Mile Island and Chernobyl. The financial risk has essentially closed off the option of a market-driven, private-investment nuclear industry. So nuclear power requires an umbilical cord to federal subsidies that it cannot be separated from – the continuous dependence upon the federal government and federal taxpayers. We need only look at the example of France, which is often touted as a demonstration of a successful path to nuclear power to realize that the nuclear industry is a French government, state-owned nuclear industry. Here in Maryland, Constellation Energy joined with the French Government EDF (Electricity de France) to form a corporation called Unistar Nuclear to build a new nuclear power plant on the western shore of Chesapeake Bay. When Constellation tallied up the cost of paying the initial federal loans necessary to jumpstart construction it was simply too big a risk and they withdrew from the project. As a result we are seeing what was touted as a “nuclear renaissance” to be a full-scale “nuclear retreat” from development of new reactors. SI: What type of resistance, as well as support, is Beyond Nuclear getting? PG: It grieves me to say that Fukushima has underscored the urgency of our need to turn away from nuclear power. The only relevant protection is prevention. The uncontrolled radioactive releases coming from Fukushima demonstrated the need to shut down nuclear power before we get another Three Mile Island, Chernobyl, or Fukushima, but with a different name, which may be a nuclear power plant near you. People are waking up. These lessons are learned very dramatically, but it is an issue where people can go back to sleep and as easily unlearn the threat of both nuclear power and weapons. We continue to issue the clarion call to shut down nuclear power, turn away from nuclear weapons, and dismantle the nuclear infrastructures around the world. Then we can begin to look at the colossal task of what to do with the nuclear waste that is here now, which no one knows what to do with. We are receiving more attention and support but at the same time the nuclear power industry is well-entrenched here in the United States on Capitol Hill, the White House and the Pentagon. It will try to thwart opposing efforts through dissemination of misinformation to trivialize the threat of radiation exposure at all levels – for example, suggesting equivalency between radiation exposures for a 25-year-old man and a first trimester fetus or a lactating mother. The industry has a well-funded misinformation campaign that can hold sway in the political arena, allowing this juggernaut to lumber forward. SI: Could you discuss the role an increasingly educated public and people power will play in challenging this juggernaut, abolishing nuclear power and weapons once and for all? PG: Just as we have seen in Egypt, for example, there is a need for the democratization of our energy policy. This is crucial right now and will require the people standing up and standing out in challenging efforts to maintain an energy policy that is focused on the emolument of a few men. We now have the technology to democratize energy policy, to make renewable energy popular, to decentralize and distribute electricity generation among the population, and to provide a carbon-free and nuclear-free energy policy for the 21st century. That will not come without wresting the tremendous financial and political power from the fossil and fissile corporations who hold sway over us to this very day. Just as there have been wars that were dictated over energy policy, we must now wage a nonviolent campaign to democratize energy policy. There is growing awareness that many of the world’s problems are inter-related coupled with a greater sense of the importance of the people’s voice as part of a solution to those problems. Environmental activist Vandana Shiva trained as a physicist, her thesis being in the field of Quantum Physics. She is well known for her work of promoting saner practices in agriculture, the importance of protecting biodiversity, promoting bioethics and resisting genetic engineering. In one of Vandana Shiva’s most recent interviews (with Laura Flanders for GRITtv, USA, on 30 April 2011) “Understanding the Corporate Takeover” she set out a highly critical analysis of commercialization and its injurious impact on almost every aspect of our lives. The interview started with Vandana Shiva talking about Jaitapur, India, “a highly seismic area” where a large new nuclear plant is scheduled to be built. 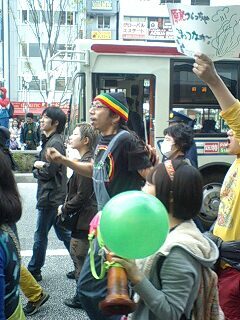 Popular protests against its development pre-date the disaster in Fukushima, Japan. It started with a US-Indian agreement and involved all the ‘big players’ in the energy market and allowed large companies to invest hugely in the Indian nuclear industry. Dr Shiva paraphrased something former US Secretary of State Condoleeza Rice said at the time: ‘We’ll keep the oil, you guys develop the nuclear.’ This would mean land-grabs and fertile land being lost and local people protested; members of local governments whose protests were ignored resigned saying that this is a ‘nuclear dictatorship’. Protests are on-going. After Fukushima people expected more common sense, said Shiva. Vandana Shiva mentioned several examples in India of the negative impact of corporations and their methods. The case of Monsanto is well-known. [A US-based multinational agricultural biotechnology corporation, Monsanto is the leading producer of genetically engineered (GE) seed; it provides the technology in 90 per cent of the genetically engineered seeds used in the US market.] Its genetically modified seeds meant that Monsanto controlled farmers’ seed supplies, by taking out 10 billion rupees of royalties ever year. Then they increased the cost of the seeds from five to seven rupees per kilogram to about 4,000 rupees per kilogram. Modified seeds also require more pesticides, which are destroying the soil organisms and other beneficial insects. When the debt burden becomes too much for the farmers, the large multinationals claim their land in lieu of payment. In recent years this has led to 250,000 farmers committing suicide due to stress and bankruptcy. ‘Multinational globalization’ is directly affecting economies, politics – how people live. “Globalization as it is now is a corporate globalization” and it is not possible to have democracy, the will of the people and corporate globalization co-existing – democracy has to be sacrificed to the profit motive. Dr Shiva spoke of a growing demand for, and investment in organic foods and a more natural approach to farming methods. She and 60 plaintiffs are filing a suit against Monsanto to say: “This company first pollutes our seeds and our organic food and then sues us, saying ‘That’s our property’ and the polluter gets paid!” Now this is a preventive suit to say that this corporation should not be allowed to get away with this criminal behaviour. Much has already been said and written, predicting how Japan will emerge from the recent tragedy. In a long reflective article in the Nikkei Weekly, Masahiko Ishizuka, editorial writer at Nihone Keizai Shimbun and managing director of Foreign Press Center Japan, describes the Japanese soul and civilization and its response to natural and historical disasters. Now, faced with the aftermath of 11 March 2011, the nation has experienced how vulnerable all its systems and structures are. One crucial lesson learned, says Ishizuka, is that the authorities, science and expertise should not be believed blindly. In Tokyo, Japan, thousands marched in the rain on 7 May 2011 to approve Prime Minister Naoto Kan’s call to shut down Chubu Electric Power Company’s Hamaoka plant in the wake of the 11 March earthquake and Fukushima disaster. Students, labour union leaders, parents and children marched through Tokyo’s Shibuya district, singing and chanting and carrying banners saying “Close all nuke plants at once!” and “No More Fukushima”. Public pressure and a prediction by experts that a magnitude 8.0 quake could hit the area within the next 30 years has led the government to review their nuclear policy, in spite of worries about energy supply and the impact of a shut-down on over a thousand jobs. In Amsterdam, Holland, 10,000 people joined an anti-nuclear demonstration in Dam Square on 16 April 2011. Organized by the Green Left party, speakers included Dutch astronaut Wubbo Ockels, Labour leader Job Cohen and Green Left leader Jolande Sap. Prior to the rally, tens of thousands signed a petition to the government calling on it to reverse plans to build more nuclear plants. In Tapei City, Taiwan, at least 5,000 people joined an anti-nuclear parade on 30 April 2011, part of a nationwide protest called “430 Sunflower No Nuke Action”. “Smile at the sun, keep away from nuclear disasters” was the theme. Participants carried yellow flowers to symbolize sustainability and paper windmills symbolizing green energy and shouted slogans like “Cherish life, end nuclear power” and “I want a nuclear-free homeland”. Young people danced through the streets and then lay down pretending to be dead when a simulated nuclear siren sounded. Spurred on by the leak of radiation at the Japanese Fukushima power plant after the earthquake and tsunami in March, and fearful of their own future in an earthquake zone, protestors urged the government to retire Taiwan’s existing nuclear power plants, stop the development of the Fourth Nuclear Plant in Gongliao District, New Tapei City, and create a nuclear-free homeland. In Germany and France, on the eve of the 25th anniversary of the nuclear explosion at Chernobyl, Ukraine, on 26 April 1986, thousands of protestors gathered on bridges over the Rhine between France and Germany, chanting: “Chernobyl, Fukushima, never again!” At the sound of a siren, they threw flowers into the river and lay down in a symbolic ‘die in’. Demonstrators in Stuttgart formed a human chain stretching 45km (27 miles) to a nuclear plant calling for the government to cancel its plan to extend the life of the nuclear reactor. Organizers said events in Japan had proved atomic power was an uncontrollable and risky technology. Russian President Dmitry Medvedev and Ukraine’s Prime Minister Viktor Yanukovich visited Chernobyl on 26 April 2011 to commemorate the anniversary. “I think that our modern states must see the main lesson of what happened at Chernobyl and the most recent Japanese tragedy as the necessity to tell people the truth,” Russian President Dmitry Medvedev told survivors of the nuclear clean-up programme at a meeting in the Kremlin.